For part of this week I’ve been writing a short biographical piece about John Clavell, an English poet and dramatist, who was born in Dorset in 1601. Clavell didn’t write very much before he moved on to other careers as a lawyer and a doctor (neither of which he seems to have been qualified for in any way), but what he did write is fascinating. Clavell was born into a well-to-do Dorset family, with an estate at Wootton Glanville, and he arrived at Brasenose College, Oxford as a likely lad of eighteen in 1619. But despite his family background, including a rich uncle, Sir William Clavell, our man seems to have wanted more. In 1621, before competing his degree, Clavell stole some of the silver and gold plate belonging to the college. He was soon apprehended and thrown in prison, only to be given a pardon following the intervention of his uncle. After that Clavell went off to London and fell in with a bad crowd. Thinking he was going to inherit a fortune from his father he started borrowing money, but when his father died in 1623 and most of the family estate turned out to be mortgaged, he found he couldn’t pay off the nice men who had lined up to fund his lifestyle and now wanted their money back. Clavell did the best thing he could think to do in his position: he became a highwayman. Highway robbery was a capital crime in 1624, but Clavell clearly thought the possible returns were worth it. Unfortunately he was arrested in late 1625, after less than a year terrorising the roads around London. Along with several others he was tried, convicted, and sentenced to death. That will make use of others jeopardie. At a cheape rate my deare experience. Most deare in outward shew, to condescend. But some of it seems at first glance rather odd: don’t travel by day “with any sum you are afraid to lose” and don’t travel on a Sunday. The first of these becomes clear when Clavell explains that darkness makes the victim and his pistols more difficult to see, but also that highwaymen “… must / Keepe lawfull howers, for feare they through mistrust / Be apprehended …” Not travelling on a Sunday also makes sense: only people with important business would be prepared to travel unlawfully on the sabbath, making picking out a victim much easier. Let not the subtile theefe, escape you so. Clavell went on to write a play about a young man who borrows money expecting to inherit a fortune and is then cheated out of his inheritance by unscrupulous moneylenders. He then went to Ireland to be a lawyer and physician. It is very unlikely he ever had any formal training as a lawyer, but nevertheless he also practised law in London in the late 1630s. He died, nobody knows where, aged 42, in 1643. Gillian Spraggs’s site about highwaymen has part of Clavell’s Recantation available. 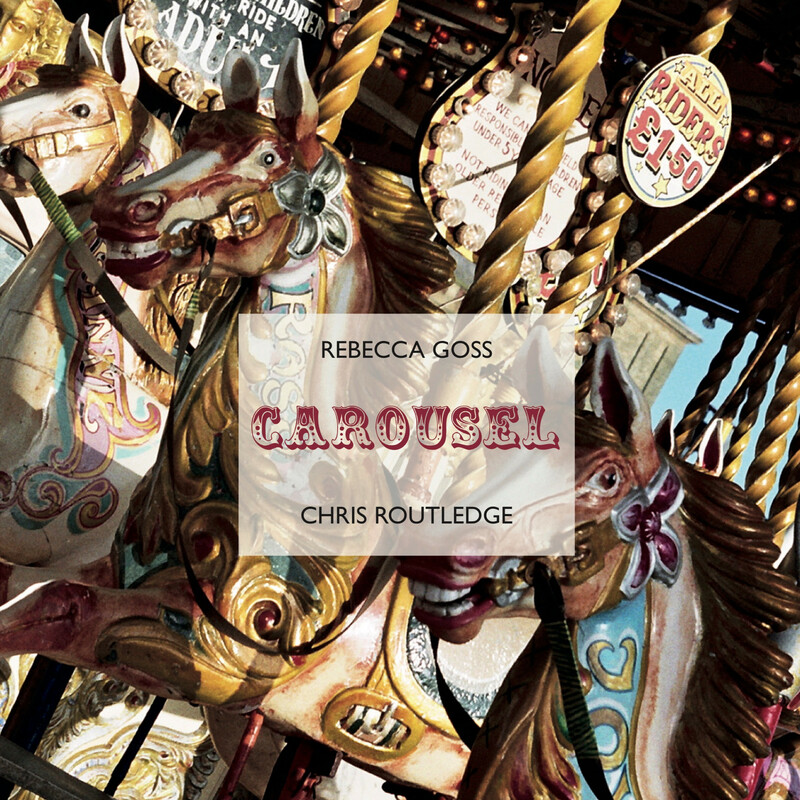 I was unable to find the whole poem available for free on the open internet, but if you have a university subscription to Athens or similar you can read it at Early English Books Online. Otherwise, there is much more about him (and the poem) in John Pafford’s John Clavell 1601–1643. Highwayman, Author, Lawyer, Doctor, (Oxford, Leopard’s Head Press, 1993). Scrivener is the formerly Mac-only application I use to do most of my writing. It’s a self-contained, multi-functional marvel that lets me get down to writing and have all my research, notes, snippets, and whathaveyou to hand without having to switch between windows, or fiddle around with combining lots of different services and bits of software. Back in 2009 I wrote a paean to Scrivener which has turned out to be one of the most read posts on this blog. Scrivener has always worked well for me, despite being intended primarily for writing fiction, but there were rough edges. Now many of those edges are going to be smoothed. Scrivener 2.0, introduced on the developer’s website before its release in October [Update: November 1st], looks like a significant revision. Among other things there are improvements to the corkboard, and outliner, new ways of comparing text, and managing notes, and even ePub export. There is also Simplenote syncing, which is extremely exciting. I’m looking forward to getting my hands on it. 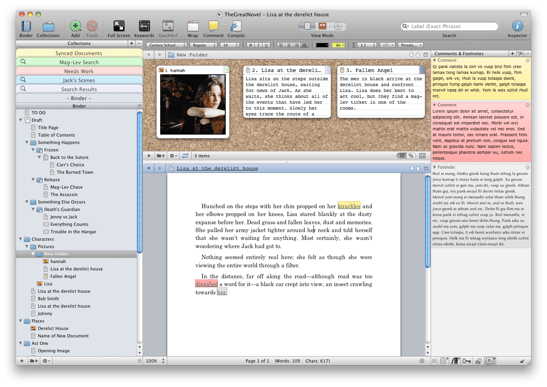 Scrivener 2.0 is described, with screenshots, right here. My review of Scrivener, and a description of my workflow, is here. In my ongoing and probably fruitless quest to find software that will do its job across platforms and devices I have been looking at notetaking applications. In the course of my week I work on three different ‘full-size’ computers using three radically different operating systems and I use an iPod Touch for keeping on top of things while I’m on the move. Synchronised data is a serious problem. About a month ago I discovered Simplenote, a notetaking app for the iPhone/iPod Touch which has one simple aim: to replace the built-in notes app on those devices. Like a lot of iPhone apps Simplenote syncs with a web-based service. But the clever thing about it is that it allows other applications to sync too. There are currently four desktop apps (Mac only I’m afraid) that sync with the Simplenote web app. Windows and Linux users should take heart from the Simplenote plugin for Google Chrome, a great replacement for the now more or less defunct Google Notebook (Update: Windows users might now also like to try Resoph Notes, or Notes, and there are continuing developments elsewhere too–thanks to David in the comments for the update). A full list of apps, plugins and extensions is here. For me the best of the desktop apps on the Mac is Notational Velocity, a simple, lightning-fast open source notetaking tool that syncs with Simplenote almost instantly. Notational Velocity is focused on keyboard work rather than the mouse, it works in plain text or Rich Text Format, and it can encrypt notes. Unlike other similar applications it can be configured to save the notes as separate text files rather than locking them inside a database. This means your work stays yours and is easy to manage. It also opens up all kinds of interesting possibilities. If you change one of those files in another application–a wordprocessor for instance, or Writeroom–it appears in Notational Velocity and from there on your iPhone. You can even create new files outside of Notational Velocity and they will appear there when you next open it up; or put the Notational Velocity file folder in Dropbox to sync with other machines. That’s pretty slick, though it is unwise to have two instances of Notational running and pointing at the same folder at the same time. Notational Velocity meets a lot of the needs I have in this kind of application: it is simple, fast, stores my data in an open, portable format and allows me to move it around to different devices seamlessly and straightforwardly. Add to that the ecosystem of apps growing up around Simplenote, and the interaction possible between them, and suddenly ‘cloud computing’ looks like much more than just keeping your documents on Google’s servers. In this version of the cloud, data is everywhere. We need more software like this. Just added to my writings archive an article of mine on Poe, Chesterton, and Borges called ‘The Chevalier and the Priest: Deductive Method in Poe, Chesterton and Borges’. The piece was written about ten years ago and was published in the journal Clues: A Journal of Detection in 2001. I was contacted last week by someone asking for a copy of this piece, but unfortunately their email address didn’t work so I couldn’t send it. This is probably a better solution anyway, but it has been strange revisiting work from what seems like another era. Caroline Smailes is going to be signing her new novel Black Boxes at Waterstones in Chester on Saturday March 7th between 11am and 1pm. 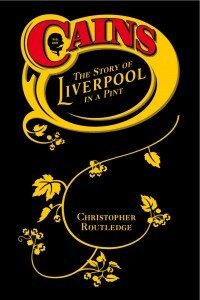 Caroline is a terrific writer and her books are well worth getting hold of even if you can’t make it to Chester. Lots of us are trying to find ways to make our favourite online reading available in other forms and the Tabbloid service from HP aims to help by converting RSS feeds into a pdf. You can add as many feeds as you like (at least I can’t see a restriction) and a nicely formatted pdf ‘magazine’ is emailed to you at intervals you specify. There’s no sign-up and the service is free, but you do need to give your email address, for obvious reasons. There are developments over at the Shedworking blog, where you can now buy t-shirts, mugs and whathaveyou with designs by Felix Bennett. And finally, Liberty Hall Writers is advising that we should kill our wordprocessors. True. By inclination I prefer to use software that runs on several different platforms, but one exception is Scrivener, which runs only on the Mac. Scrivener is essentially a word processor, but it is not your father’s wordprocessor. Scrivener is writing software created with writers in mind. Where wordprocessors such as MS Word or OpenOffice Writer are designed to create documents, Scrivener is intended for managing writing projects. It handles every aspect, from arranging narrative, developing characters, and organising research, to the writing itself. I should say right now that this post is not so much a review as a celebration. This piece of software is truly impressive in the way it addresses very specific writerly needs. It took me a while to get into using Scrivener. I started using it off and on early in its development, but I began using it seriously about half way through writing my ‘beer book’ some time in early 2007. It transformed the process. Instead of having research scattered all over the place, Scrivener pulled it all together. The Scrivener files (.scriv) are actually folders that contain the whole project. So while a short book might contain a couple of megabytes of rich text, a Scrivener project could be much larger. For the record the Cain’s book .scriv, even though I only moved to Scrivener half way through, is well over 20 40 megabytes: it contains pdfs, images, chunks of text, saved web pages and so on. This kind of conveniently accessible data soup will be familiar to anyone who uses Mac OS X, but the Scrivener interface makes it all very easy. In the Scrivener window itself the writing and research are contained in two sections. The writing section is obvious: it’s the area where you keep your writing. Cleverly though, it is unlike the normal wordprocessor model in that it allows you to write in chunks, all of which are available all the time. Rather than a whole bunch of files accessible only through your file manager, all your notes and short chunks of text are available instantly within Scrivener. It is possible to move sections around, merge them, turn them into an outline, move notes to the research section and so on. The flexibility of it is brilliant. The research section is where you store research materials. This can be anything you can save and view in Mac OS X. From pdfs to Word documents, to saved web pages, you can organise everything easily. I happen to use two screens when I’m doing most of my writing, which allows me to open research materials in a window in the left screen and keep writing in the right (Scrivener) window. Scrivener allows you to split the screen so this will work on a single screen setup, but having two screens really unleashes the power of the research section. For instance, I can open a multiple saved web pages in the web browser Safari in the left screen while running Scrivener for writing in full screen on the right. Two other features of Scrivener are worth mentioning. Firstly, Scrivener has access to all the text formatting tools in Mac OS X, so you can view your text as you like it. The idea though is that Scrivener is primarily a writing tool, so it is expected that you export your text to a wordprocessor for final formatting. It’s what wordprocessors are for after all. The second key feature is full screen mode. Lots of ‘no distraction’ text editors are available these days. Write Room is probably best known on the Mac, but even iWork has a full screen mode now. Scrivener’s blows them all away. Not only does it provide more information in full screen mode than the others, but it allows almost limitless formatting. If you want green text on a black background, that’s fine. Maybe you want a single white page, or to be able to see the windows behind ever so faintly. However you like to work, Scrivener seems to cater for it. And because of that, it gets out of the way and lets you write. I work almost exclusively in Scrivener now, exporting text in .rtf format for processing in final draft. It is primarily aimed at fiction writers and ships with templates for novel and screenplay writing. The flexible research tools also make it well suited to large projects, but my non-fiction projects seem to work just as well, whatever their length. Oh, and did I mention Scrivener has a versioning system built in? If you don’t like your current draft, or part of it, you can go back to an earlier copy with a single click. Having somewhat obsessive geeky leanings I like trying out new software and I download a lot of new things. Most don’t last and even fewer get my money. If you’re a writer and you use a Mac, Scrivener, at $39.99 is one of the best software bargains out there. The Scrivener homepage is here. Here’s a video tutorial for Scrivener. Writing is one of those things that looks easy but isn’t. Or at least just about everyone can write, but few can write in ways that people actually want to read. This explains the huge number of writers, agents, and editors offering free advice about writing on their blogs and websites. Free advice is fine. It’s certainly interesting to hear how other people work. I think proper mentoring and good editing are probably more useful, but nothing will help if the student’s attitude is all wrong. Writers are a strange group of people. It takes a certain arrogance to assume that people will want to spend their valuable time reading what you have written. On the other hand writers also need to be able to see where they are failing, realise their weaknesses, and understand when they need to change what they are doing. Arrogance with a topping of humility and self-doubt. Imagine strawberry and Marmite ice-cream and you get an idea of how that works in practice. The single worst piece of writing advice I ever got was to stay away from the Internet because it would only waste my time and wouldn’t help my writing. This advice was wrong creatively, professionally, artistically, and personally, but I know where the writer who doled it out was coming from. Every now and again, when I see a new website, game, or service, I sense the tug of an attention black hole: a time-sink that is just waiting to fill my every discretionary moment with distraction. As a co-parenting new father who writes at least a book per year, half-a-dozen columns a month, ten or more blog posts a day, plus assorted novellas and stories and speeches, I know just how short time can be and how dangerous distraction is. The centrepiece of the argument, that doing a little every day is the best way to produce a whole lot of writing, is absolutely bang on. Of course having the talent of Cory Doctorow probably helps as well. Link.